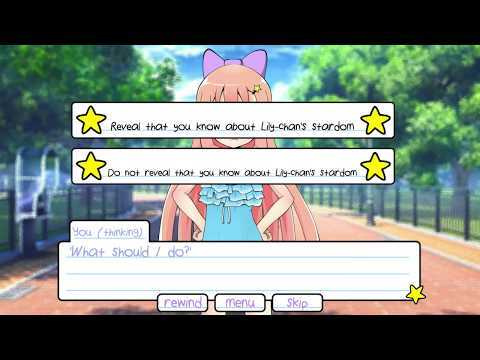 Lily's Day Off is a visual novel, but not in the typical sense. As you progress in this game, your actions drastically change characters, story lines, and outcomes. There are 16 available endings in total, each with its own completely different theme. Lily also has 6 different outfits she can wear. Thanks for playing! Enjoy the game! Extra content Doing this for the free stuff.